Colleen hit the button, and the elevator groaned as it climbed from the first floor. 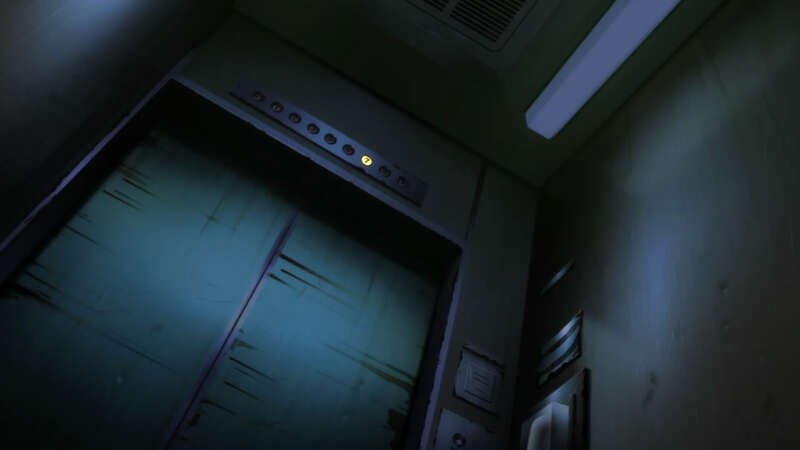 The ghostly light cut through the doors as the elevator drifted into place. The brief pause as the elevator settled and dinged seemed to linger on without end. Colleen could hear the blood rushing in her ears as she grabbed the garbage can and raised it at the ready. The doors slid open. As the doors peeled back, Colleen saw the menacing green eyes, and furled snout of the werewolf preparing to launch. “Back!” She screamed.